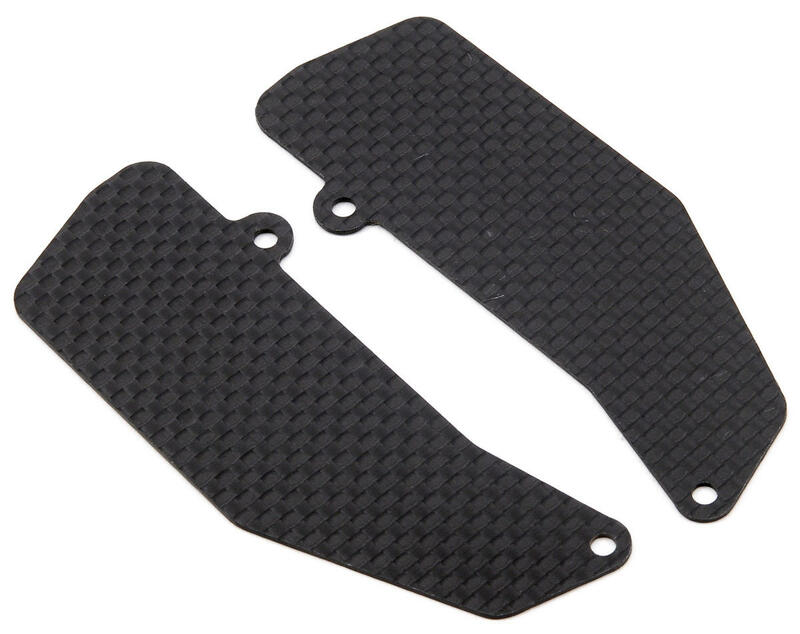 This is an optional Jammin Products Carbon Fiber Rear Arm Mud Guard Set, and is intended for use with the Losi TEN-SCTE, TEN-T and 810 vehicles. These were developed to protect the rear driveshafts and shocks from rocks and debris, while at the same time remaining light and strong. 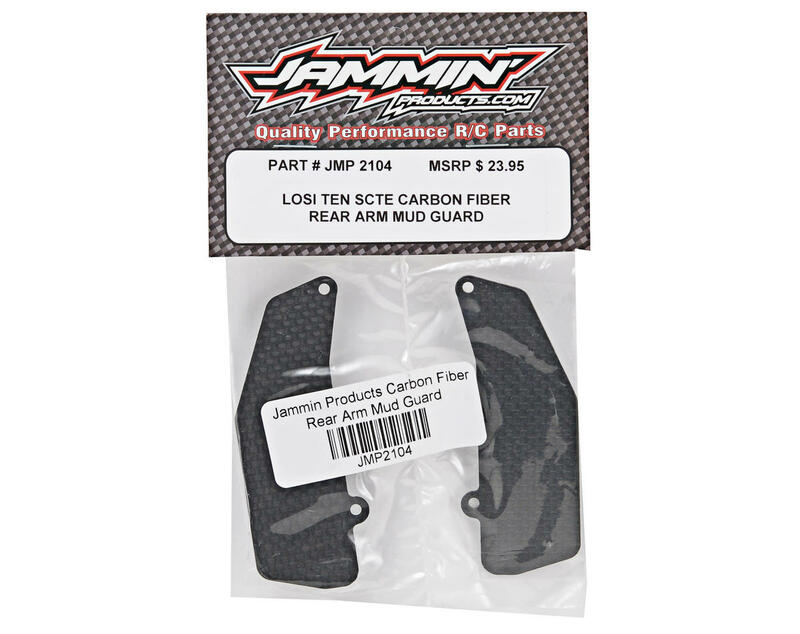 Jammin's carbon fiber is top notch! Fit is awesome! MADE IN USA!!! They fit scte 2.0 just perfect. They definitely help reduce the sand blast effect the front tires have on the rear suspension components. Still, I put some thick protective sticker material on them to protect the carbon fiber itself. This should increase the life of these plates by a significant amount. Bought these and couldn't be happier with the quality of the carbon fibre. very sturdy and super lightweight. These works great ,keeps the rear drive train clean ....super light weight ...and looks trick on the truck itself!